What is Field Target you ask? When you combine the attributes and precision of formal bull’s-eye shooting with the instant gratification of seeing targets falling, as in metallic silhouette shooting, and utilizing the unmarked distances used in 3-D Archery competition, and with matches set up in a natural hunting type environment, and having to take into account long distance trajectory calculations to accommodate for pellet drop and wind doping, you have Air Rifle Field Target! We shoot at steel targets resembling small game animals; rabbits, squirrels, crows, etc. These targets have a hole, or "kill zone" located on the front of them with the KZ being as small as 3/8" diameter and as large as 1-3/4" diameter. Behind this hole is a steel paddle that when hit with a pellet passing cleanly through this hole will allow the linkage to unlock and both paddle and target face will fall. The target is then reset by pulling the string that extends from the target to the firing line. A pellet hitting the face of the target will lock up the linkage preventing the target from falling. A knockdown is scored as a hit (X) and a target that remains standing is scored as a miss (0). Sometimes the scoring for hunter is 2 for a hit, 1 for a faceplate hit and 0 for a miss. A typical match might be 15 lanes with two targets on each lane and two shots per target, for a total of 60 shots. 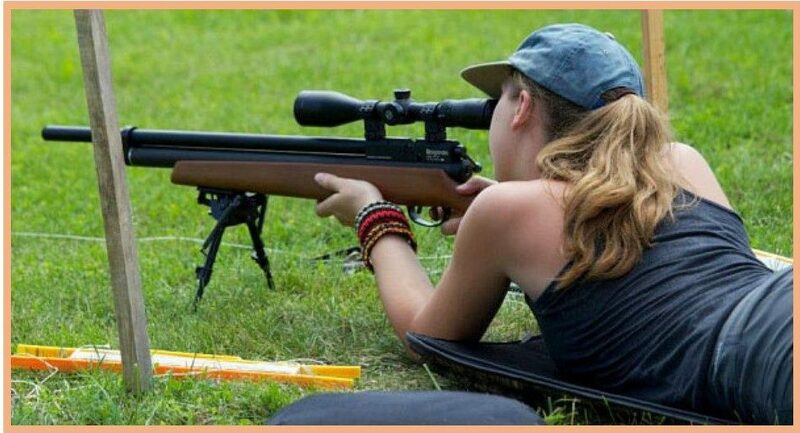 Targets are set at unmarked distances between 10 yards and 55 yards. Although a clear line of sight is required according to the rules, we strive to position the targets in as natural a setting as possible using all the terrain features, existing vegetation, and obstacles that are available to us to make it appear as realistic as possible. Shooting this game is great fun. We follow AAFTA rules when conducting our matches. The entry fee is $10 per competitor. If you don’t have equipment and would like to just give it a try, contact Sean McDaniel at: smcdaniel@rochester.rr.com. We can meet at the range or make arrangements to pair you up at a competition.